Silva Screen Records presents, for the Record Store Day 2019, Max Richter’s soundtrack for Italian director Renato de Maria’s drama La Prima Linea. 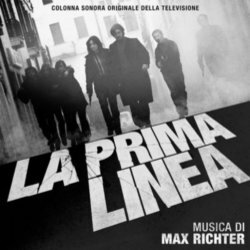 Italian director Renato de Maria’s 2009 crime drama La Prima Linea (The Front Line) takes us back to the late seventies and the home-grown Italian terrorist cell of the same name. Based on the real memoirs of a Prima Linea member, Sergio Segio (played by Riccardo Scamarcio) the militant underground organisation employs violence to achieve their political ends and ultimately to attempt to free Sergio’s lover, Susanna, from prison. The beautiful and melancholic soundtrack is instantly recognisable as Max Richter’s work, making its debut here on vinyl for Record Store Day. Richter is a respected composer in his own right, having accumulated a large fanbase for his studio albums (Memoryhouse, The Blue Notebooks and most recently, Sleep). He has also won multiple awards and nominations for his soundtracks including Waltz With Bashir, Lore, The Leftovers and most recently Mary Queen of Scots.